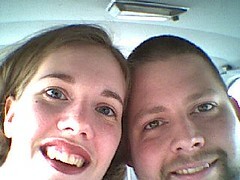 Courtship pictures :) The one of Chris is him looking at me, and I am taking a picture of myself to send to him. 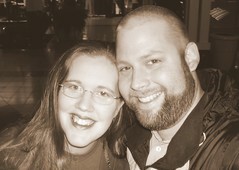 We are at a kiosk at the Super Mall in Auburn, been courting for a few months. 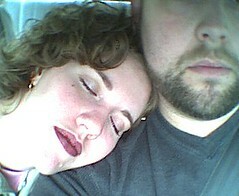 Another courtship picture, another shot at the SuperMall. 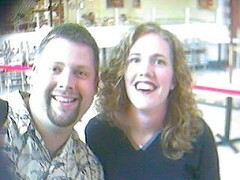 We would often meet there for dinner since it was about the half way point for us, we live a terribly long 45 minutes apart while we were courting! We’re married! Wow, is this real? 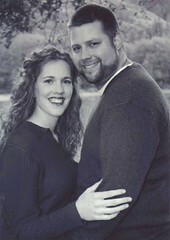 January 12, 2002 Just about 3 1/2 months after he proposed marriage. 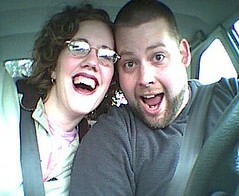 Silly and having fun together, pre-child phase. 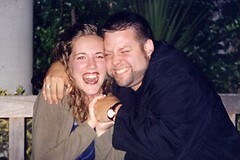 I love my husband and he loves me. 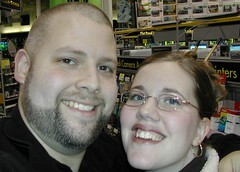 January 2004-Second Anniversary, we are actually at Best Buy buying our current printer/scanner/copier. 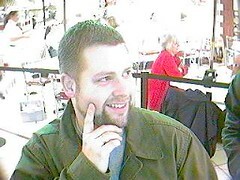 (Aidan was about 10 months old, and at home with Nana and Papa, we lived with them at this time and they watched him on our date to the Bellingham Olive Garden and a little shopping). On a fun date in La Conner, just spending time getting to know each other better. January 2005-Third Anniversary-Chris surprised me with a fun trip to Friday Harbor for a romantic dinner and fun and relaxing ferry ride. 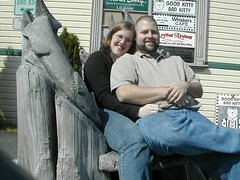 (Aidan was almost two, Eamon was just a few months old and I’m pretty sure that nana Joan watched them for our date). 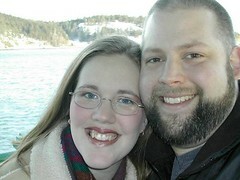 Another picture of us on the ferry, it snowed this anniversary too but not at much at it did this time! 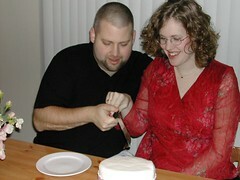 January 2006-Our Fourth Anniversary. 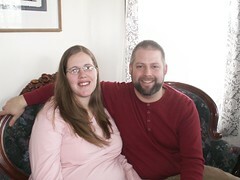 I’m 8 months pregnant with Guenna, we are getting ready to move in a couple weeks. We went to dinner after our midwife appointment to a quaint little Italian restaurant in Arlington, it was delicious! Nana Joan once again watched both the boys for us, what a blessing those nanas are! 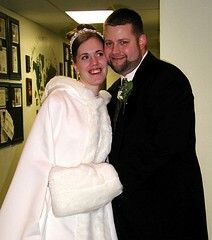 January 2007-Fifth Anniversary. Here we are just this morning, what a fun weekend we had together, we really needed those extra hours together, it was really refreshing to get away. 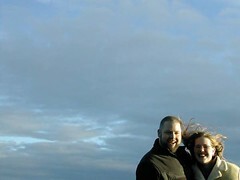 We loved the Anchorage Inn in Coupeville and will hopefully go back again someday, they really had it together, and their prices were affordable. Thanks Nana Judi for watching all of our kids, what a huge blessing it was to us, and so refreshing knowing they are in good hands. Love you! 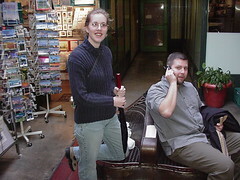 Wonderful pictures of the two of you! You look so happy. Congratulations on your wedding anniversary! Aww, you guys are so cute! Loved the pictures! I love the pictures! You look like you’re having so much fun in all of them. I love the wedding one too. You should post more of those :) I’m a sucker for wedding pictures. Congratulations on your anniversary! Time flies when you’re having fun!